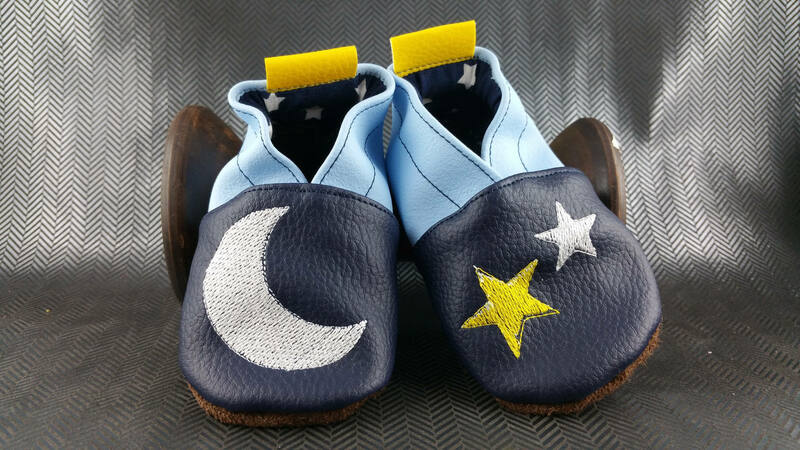 This pair of soft slippers is Navy Blue faux and blue sky with Moon and the other stars, it is also possible to add the child's name. The sole is leather, faux leather lined with cotton outside in order to be machine washable. 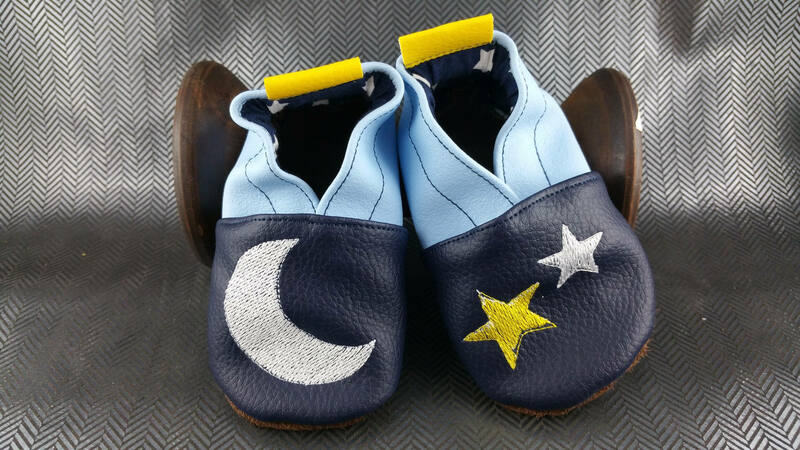 These booties are perfect for home, school, nursery or daycare. You are ordering for an adult? take your usual size.